The future is female – and we’re continuing to grow our women’s category with top female athletes. The latest to join the PUMA family: Alexandra Wester. The German long jumper made her major competition debut earlier this year at only 21 years of age and joins a growing list of young female PUMA athletes that includes Jenna Prandini (US sprinter), Natasha Morrison (Jamaican sprinter), Anthonique Strachan (Bahamian sprinter) and Michelle Jenneke (Australian hurdler). Wester is quickly establishing herself as one of the potential stars of her sport and discipline. In her first year at world class level, she finished sixth at the IAAF world indoor championships and is a strong candidate for a medal in Rio. The 22-year-old has been attracting attention recently with top performances – like jumping 6.95m indoors at the beginning of this year – matching previous German stars like Heike Drechsler, Olympic champion in Barcelona 1992 and Sydney 2000, as well as her charm and charisma away from the long jump track. PUMA has a great vision for how it will grow its appeal to women, and I’m excited to become a part of the plans that will accomplish that. 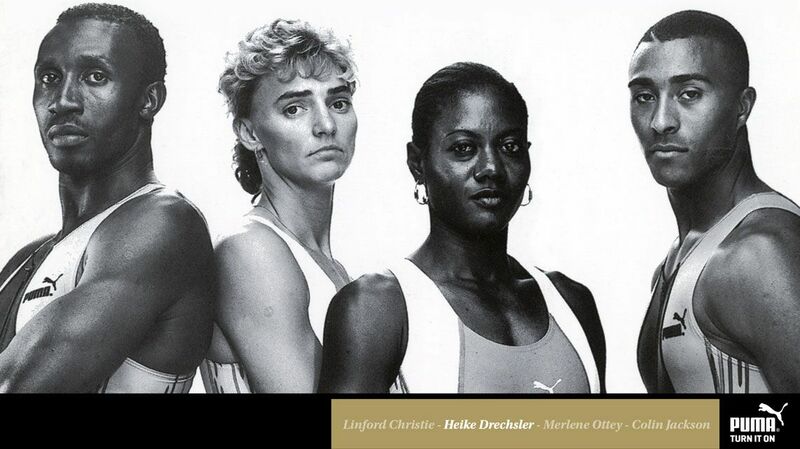 Its rich history in track & field, partnership with some of the greatest athletes and increasing focus on women means they are absolutely the right sport brand to commit myself to. I’m looking forward to what the future might bring.